The genus Juniperus consists of evergreen and coniferous shrubs that hail from the Northern Hemisphere. Grown in a wide range of shapes, sizes and colors, juniper shrubs are known for their dramatic foliage that retains its color year-round. Junipers are also tolerant of a wide variety of soils and sites, and look striking planted in masses or used as a ground cover in rock gardens and slopes. Bar Harbor juniper (Juniperus horizontalis 'Bar Harbor') is an evergreen juniper shrub variety with a rapid growth rate. It grows up to 1 foot wide and has a spread of 6 to 8 feet wide. Bar Harbor junipers have a dense, compact form with thin, flexible and spreading stems. The scale-shaped, gray-green, small, awl-shaped foliage on Bar Harbor juniper has a mauve tinge in winter. Bar Harbor junipers are an ideal ground cover for their low-growing nature and fine texture. They grow best in full sun and well-drained soil. Plant Bar Harbor junipers in USDA Hardiness Zones 4b to 9. Blue horizon juniper (Juniperus horizontalis 'Blue Horizon') is an evergreen juniper that grows 4 to 6 feet tall and 6 to 8 feet wide. It has a low-growing, open habit with a mounding center. The blue green foliage on blue horizon juniper casts a bronze to green tinge in winter. Blue horizon juniper grows best in full sun to light shade and tolerates a wide range of soil varieties. Versatile, blue horizon junipers are both heat- and drought-tolerant. Plant blue horizon in USDA zones 4 to 9. Douglas juniper (Juniperus horizontalis 'Douglasii') is a variety of juniper with a rapid growth rate and mat-like growth habit. Low-growing, it grows 1 to 1 ½ feet tall and has a spread of 6 to 10 feet wide. The steel blue, scale- to needle-like foliage on Douglas juniper turns gray to purple in winter for a showy garden display. Each branch tip on Douglas juniper has a long, straight form. 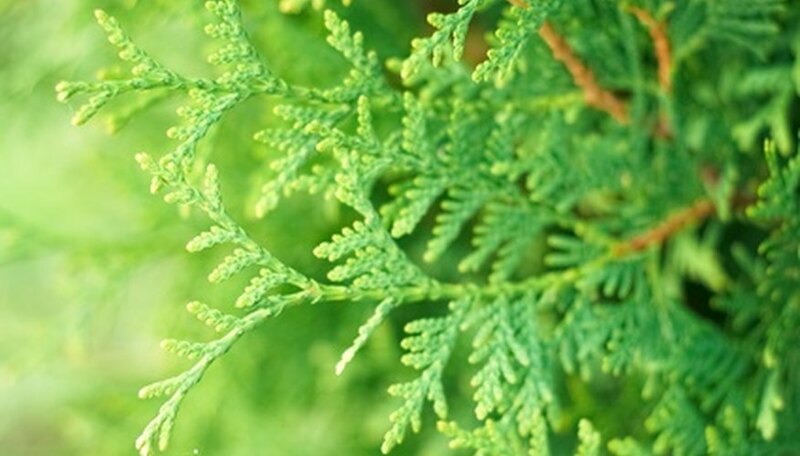 Douglas juniper grows best in full sun to part shade but tolerates a wide range of soil types. It is heat- and drought-tolerant, making for a hardy juniper shrub variety. Plant Douglas juniper in USDA zones 4 to 9. Mother lode juniper (Juniperus horizontalis 'Mother Lode' ) is an evergreen juniper shrub with a creeping, low-growing habit. It grows up to 6 inches tall and has a spread of 8 to 10 feet wide. The soft, scale-like, feathery foliage on mother lode junipers is brilliant gold to cast a bronze in winter. As an evergreen, mother lode juniper retains its foliage color throughout the year to add warmth to the winter garden. Once established, mother lode juniper is low-maintenance and easy to maintain. Planted along banks and hillsides, mother lode helps to prevent erosion. It grows best in full sun and well-drained soil but prefers sandy, dry soil. Mother lode is tolerant of hot, dry climates. It is suitable in USDA zones 3 to 9.